Nice design that highlights perfectly the experience. CV template to download "Happy"
The Happy Resume has a modern design that effectively presents your professional experience and educational background! 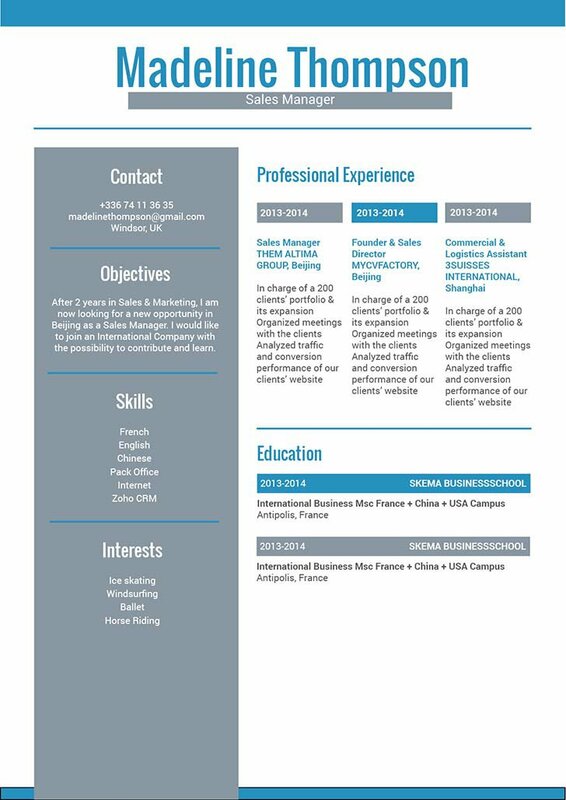 This assistant-CV features a selection colors, shapes, and texts that bring about an eye-catching design that is perfectly applicable to any job type as all the relevant information is clearly presented. 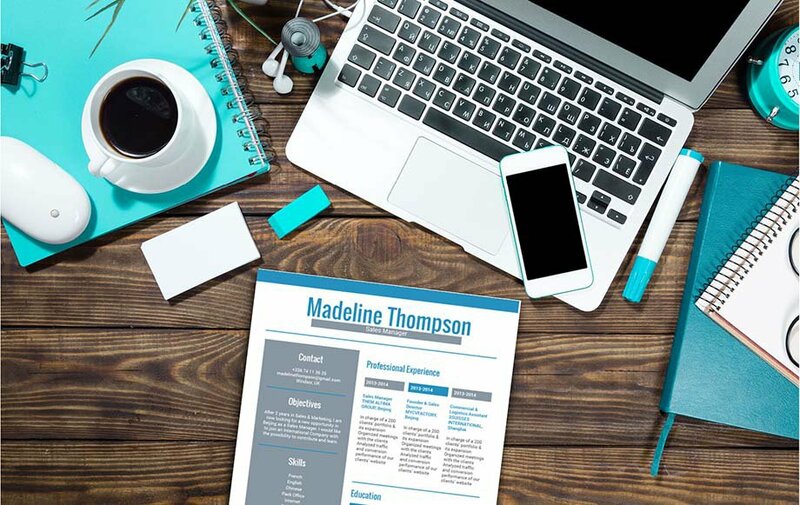 So whether you're applying to be a teacher, telemarketer, or a personal assistant—this is one resume template that is sure to help you land that job! What can make your resume more attractive for your potential employer? That's simple—all you need is to create an effective and comprehensive resume format. With your resume that dream job is sure to be yours! A good resume format will allow you to get more job interviewers, impress more hiring managers, and of course land you that job! To create such a resume format make sure to use professional looking fonts such as Seriff or Sans Seriff fonts, choose a font size between 11 and 12, and use italic/bold font styles to guide the reader along our resume with more ease. The use of graphics and symbols can help attract the reader to the key points of your resume. And finally, utilize wide-margins, headings and subheadings to give your resume a logical format that is easier to follow.